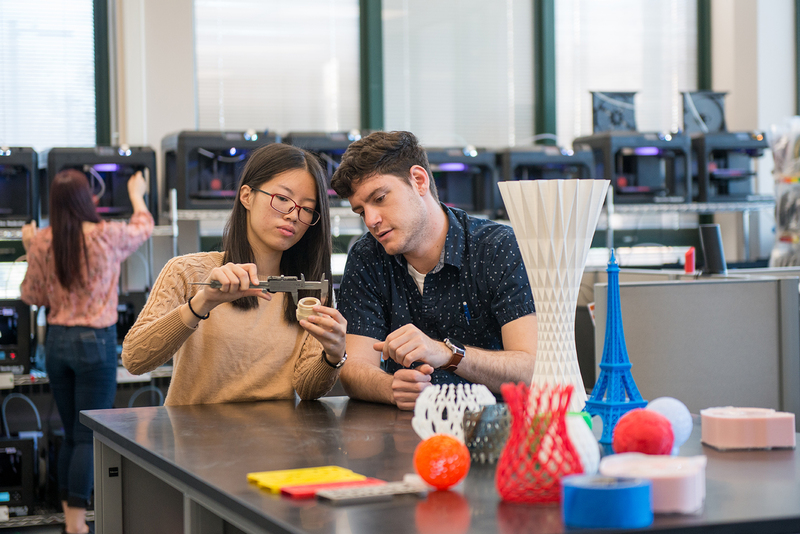 An award from the Dyson Foundation will allow the Hudson Valley Advanced Manufacturing Center (HVAMC) at SUNY New Paltz to purchase 3D metal printing, wax printing and continuous-build equipment. The award has the potential to transform the manufacturing industry in the Hudson Valley, through a dramatic expansion of the HVAMC’s ability to deliver high-value 3D printing for both prototypes and final-use parts to regional businesses. The $500,000 awarded to the SUNY New Paltz Foundation will enable the HVAMC to purchase three distinct technologies and expand staffing to help Hudson Valley manufacturers and other businesses take advantage of the Center’s new capabilities. These new additions will include an investment in a direct metal printer, produced by Desktop Metal, which fabricates metal parts and structures at a fraction of the production cost of previously available technology. The funding will also allow the HVAMC to purchase a wax 3D printer that can print at extremely high resolution, to create products that can be integrated into traditional casting techniques. Like the direct metal printer, this will serve as an asset both to regional partners and to current New Paltz students learning and working in the Center. Lastly, the Dyson Foundation award will enable the HVAMC to work with Stratasys to implement a “Continuous Build” printing system, which automates the process of removing a completed build from a printer and starting the next. This innovative system significantly reduces the amount of time that 3D printers sit idle, helping the Center better meet the rapidly growing regional demand for 3D-printing services. The addition of these new technologies will arrive to the HVAMC just as it is preparing to relocate to a larger, modern space in the College’s 19,000 square foot Engineering Innovation Hub when that building, currently under construction, is completed in 2019. The Hudson Valley Advanced Manufacturing Center (HVAMC) at SUNY New Paltz is the nation’s leading academic center for 3D printing applications, providing expert advice on digital design, fabrication and materials for additive manufacturing to partners at the College and throughout the regional business community. To date, the HVAMC has worked with more than 300 companies and entrepreneurs on an enormous range of prototyping and end use projects. Founded in 1976, the Foundation works to enrich the quality of academic life at SUNY New Paltz by raising private contributions. Gifts to the Foundation enhance the teaching, learning, and discovery that takes place on campus, and allow New Paltz to enrich the cultural, economic and social fabric of the Mid-Hudson region. There is virtually no activity on campus that does not benefit from the gifts made to the Foundation and to the endowment. One hundred percent of donated funds are used for programs that benefit students. The Dyson Foundation is a private, family-directed grantmaking foundation headquartered in Millbrook, New York. Established in 1957, the Foundation is led by Robert R. Dyson, who has served as its Chairman since 2000. The Foundation awards grants through a diverse regional funding program in Dutchess County and the Mid-Hudson Valley of New York State. The Dyson Foundation also makes grants and awards outside the Hudson Valley to pre-selected organizations. The Foundation’s assets presently stand at approximately $215,000,000 and in the year 2017 it awarded grants of over $13,700,000.